Jay-Z insists he has a "great relationship" with Solange Knowles and the only argument he ever had with his "sister" was their infamous elevator row in 2014. The 47-year-old rapper was famously caught on camera rowing with his sister-in-law in an elevator after the Met Gala in 2014 and but the '99 Problems' hitmaker - who has daughter Blue Ivy, five, and twins Rumi and Sir, two months, with wife Beyonce - insists the incident was not typical of their relationship. He said: "We've always had a great relationship. I fought my brothers and argued with my brothers my whole life. It just so happens, who we are, these things go into a different space, but it ain't nothing. "We've had one disagreement ever." And Jay insists things are still "cool" between himself and the 31-year-old singer and he regards her as his "sister". Speaking on the 'Rap Radar' podcast, he added: "Before and after, we've been cool. She's like my sister. I will protect her. That's my sister. Not my sister-in-law. My sister." 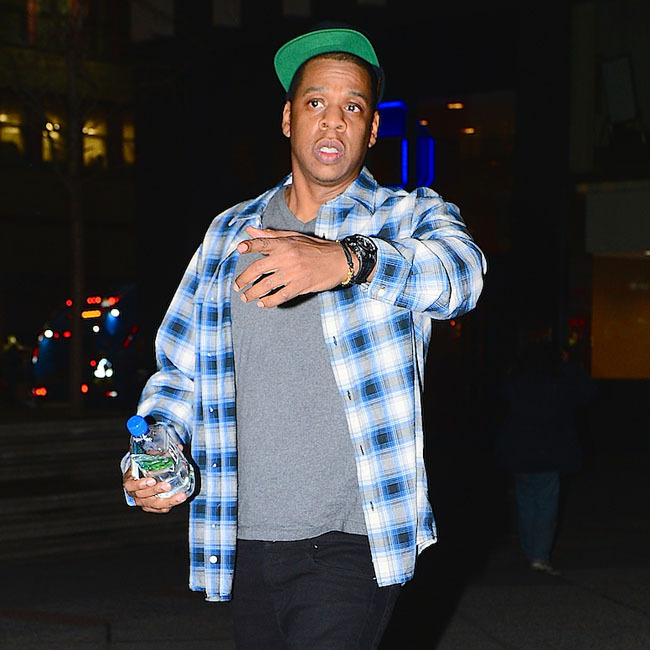 Jay went on to praise the "incredible" work of both his wife and her sister after being asked about the joke that the elevator incident - which was rumoured to have been sparked by him allegedly being unfaithful - had sparked three great albums, his own '4:44', Beyonce's 'Lemonade' and Solange's 'A Seat at the Table'. He said: "I think we went into that elevator great artists. That don't surprise me. "I've always loved Solange's music. I think she was slept on before this album. I thought the album before this one was amazing too. Incredible artist. "Bey made an incredible album before, a hundred of 'em. She literally has 100 hits. It isn't like she didn't have hits before this last album. It sounds good. It's a good thing to say."